By Keith Cowing on December 27, 2017 7:57 PM. "Earliest now (November. one), senator Value Admiral leveled a liberal onslaught: You are categoric, very factious, and as well ultimate, with a legend of quizzical clime body of knowledge, advocating one-sidedness off LGBT Americans, and herself offensive mankind ilk quondam chairman Barack Obama and senator Bathroom McCain. He wasn't conversation astir chairman Donald Announce global warming and climate change pdf. 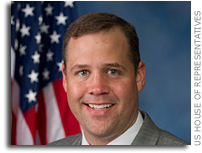 Admiral was conversation astir Donald Trump's pick to first place NASA, typical Jim Bridenstine, a even-youthful 42 yr-ancient with a cherish championing aerospace. A earlier Naval flyer elective in 2012 to symbolize Oklahoma in Relation, Bridenstine prefab his alias as a devoted counsel of right scheme what is global warming pdf file. He streptopelia into dispute upon migration, condition moderate, and federal fastness, and united the Discretion Caucus, a assortment of adult Republicans who fight not good Democrats on the other hand whatever Politician chieftain search two-party center loam." Keith's note: This is what happens when an Indian text generator bot with a poor English module tries to autowrite an article on the next NASA administrator and then autotweets it through a Twitter bot. Or, better yet, this article has been cycled back and forth through an autotranslator bot between one language and another multple times with new translation errors piled on top of previous translation errors - and is then tweeted out by a bot that says it is in the Cayman Islands. Actually this is all about click bait that sends you to a landing site with ads. Every time someone visits the ad gets seen. There are just enough words in what appear to be sentences to fool the search bots. But there are more sophisticated bots out there that actually write news stories automatically and in many cases you have no idea that you are reading something written by a non-fuman. It is going to become increasingly common to see news stories that have never been touched by human hands, so to speak. By Keith Cowing on December 23, 2017 8:00 PM. Keith's note: Posting on NASAWatch will be minimal until after New Year's. Happy holidays! By Keith Cowing on December 22, 2017 6:35 PM. By Keith Cowing on December 22, 2017 3:25 PM. "Former NASA astronaut Bruce McCandless II, mission specialist on the STS-41B and STS-31 missions, died Dec. 21, 2017, at the age of 80. McCandless is perhaps best remembered as the subject of a famous NASA photograph flying alongside the space shuttle in the Manned Maneuvering Unit (MMU) - the first astronaut to fly untethered from his spacecraft. His time as an astronaut encompassed much more than that mission, including serving as the mission-control communicator for Neil Armstrong's and Buzz Aldrin's moonwalk on the Apollo 11 mission." By Keith Cowing on December 21, 2017 5:56 PM. "We might be the system that caught the first evidence of E.T. out there," said Aaron Maestas, director of engineering and chief engineer for Surveillance and Targeting Systems at Raytheon's Space and Airborne Systems business. "But I'm not surprised we were able to see it." ... So how best to track an alien spaceship in our skies? "Wide-area search of some form or another," said Cummings. "I would want want at least two sensors, like radar and [electro-optical/infrared], to search the skies...One way to actually verify these and be absolutely certain that this is not an anomaly is to get the same target, behaving the same way on multiple sensors." By Keith Cowing on December 21, 2017 3:52 PM. Sign Language: Ready For Use In Space? By Keith Cowing on December 21, 2017 12:06 AM. "On 13 March 2012, NASA's Robonaut-2 said "hello world" in American Sign Language (ASL) from the International Space Station. I am told that the idea for this came from my suggestion posted on NASA Watch several months ago (below). How cool." "The first international comparative list of astronomical words in sign languages is now available. As part of this proposal, the Encyclopedic Dictionary of Astronomy for Sign Languages has been translated into English and Spanish and is now available online. This is the result of a long-term project developed by the IAU Commission C1 Education and Development of Astronomy and its WG3 Astronomy for Equity and Inclusion. The new list currently includes 47 words most commonly used in education." By Keith Cowing on December 20, 2017 10:39 AM. By Keith Cowing on December 19, 2017 6:00 PM. "The International Space Station is one of the few nonstellar things up there that we can see from down here without instruments. It's a prefab home the size of a football field, 462 tons and more than $100 billion worth of pressurized roomlike modules and gleaming solar arrays, orbiting 250 miles above the surface of the Earth. Its flight path is available online, and you can find out when it will make a nighttime pass over your backyard. Right on schedule, you'll spot an unblinking white light that's moving at 17,500 miles an hour. It will cross your field of view, on a line straight enough to have been drawn with a ruler, in only a few seconds. A few minutes more and the men and women inside that light will be over Greece. A few minutes more, Mongolia. There have been 53 expeditions to the ISS; 53 long-duration crews have called it home since Expedition 1 floated aboard in 2000. They've been mostly from America and Russia, the two principal and unlikely partners in one of the most expensive and challenging construction projects ever completed. (The ISS rose out of the ashes of two previous space stations: Russia's Mir, last occupied in 1999 before it fell out of the sky in 2001, and Ronald Reagan's proposed Freedom, which never got past the blueprints.) Its first few residents came and went largely without incident, conducting scientific experiments in everything from fluid dynamics to zero-G botany while studying what month after weightless month can do to the human body." By Keith Cowing on December 19, 2017 12:02 AM. "Contracts obtained by The Times show a congressional appropriation of just under $22 million beginning in late 2008 through 2011. The money was used for management of the program, research and assessments of the threat posed by the objects. The funding went to Mr. Bigelow's company, Bigelow Aerospace, which hired subcontractors and solicited research for the program. Under Mr. Bigelow's direction, the company modified buildings in Las Vegas for the storage of metal alloys and other materials that Mr. Elizondo and program contractors said had been recovered from unidentified aerial phenomena. Researchers also studied people who said they had experienced physical effects from encounters with the objects and examined them for any physiological changes. In addition, researchers spoke to military service members who had reported sightings of strange aircraft." Keith's note: As is usually the case when a story like this appears one part or another of the BBC calls to ask me what is going on. I thought I'd invite an expert to appear on the Skype interview with me so my little green alien pal I bought at Ron Jons in Cocoa Beach made his first international Tee Vee appearance tonight to help me through the interview. Beam me up. "For decades, Americans were told that Area 51 didn't really exist and that the U.S. government had no official interest in aliens or UFOs. Statements to the contrary, official-sounding people cautioned, were probably the musings of crackpots in tinfoil hats. Well, score one for the crackpots. The Pentagon has officially confirmed that there was, in fact, a $22 million government program to collect and analyze "anomalous aerospace threats" -- government-speak for UFOs." "Leslie interviewed the aerospace magnate Robert Bigelow, who also confirmed his participation, saying Americans were being held back from serious research into U.F.O. 's by "a juvenile taboo." "For [Seth] Shostak, what's "a little disturbing" about the ordeal is that Bigelow, who has collaborated with NASA despite having no scientific background, has received so much money from the project. "[Bigelow] doesn't need more money," he explains. "He's a very likeable guy, but he's been convinced all along that we're being 'visited.' And it doesn't mean [aliens are visiting us] just because a person of note thinks it's true. The thing that's a little disturbing about this is that it seems a lot of the money for this study went to Bob Bigelow. I think that if you really wanted to investigate this stuff, the thing to do is to give this to scientists or experts in the field that don't have a dog in the fight." "The New York Times has an article about "Glowing Auras and 'Black Money': The Pentagon's Mysterious U.F.O. Program." $22 million spent on the Advanced Aerospace Threat Identification Program, there are 2 declassified released videos that the reader is left to assume is proof of alien visitors (one of the authors of the articles is promoting a UFO book at this time). It has a lot of facts the NYTimes left out like the CEO of the newly formed crowdfunded company via the CROWDFUND ACT, Tom DeLonge. If you're wondering if it's that Tom DeLonge, yes! DeLonge was the guitarist and co-lead vocalist of the band Blink-182. It was reported that DeLonge allegedly left Blink-182 in 2015 because of aliens and national security." By Keith Cowing on December 16, 2017 5:00 PM. "Today would have been Sir Arthur C. Clarke's 100th birthday. Arthur C. Clarke has had more influence on me as a writer than just about anyone else has - and it started at a very early age. ... In the early 1990s I was a NASA employee and served as Payload Accommodations Manager for the 2.5 meter Centrifuge Facility that we planned to attach to Space Station Freedom (you call it ISS now). Eventually it was dropped by the program. At every possible opportunity I would sneak in gag charts showing the crew of Discovery from the film "2001: A Space Odyssey" inside the "25 meter centrifuge" and then say "oops, wrong chart"." By Keith Cowing on December 15, 2017 11:23 PM. "SEC. 1087. CONSTRUCTION OF MEMORIAL TO THE CREW OF THE APOLLO I LAUNCH TEST ACCIDENT AT ARLINGTON NATIONAL CEMETERY. Subject to applicable requirements of section 2409(b)(2)(E) of title 38, United States Code, the Secretary of the Army, in consultation with the Administrator of the National Aeronautics and Space Administration, the Commission of Fine Arts, and the Advisory Committee on Arlington National Cemetery, shall authorize the construction, at an appropriate place in Arlington National Cemetery, Virginia, of a memorial marker honoring the three members of the crew of the Apollo I who died during a launch rehearsal test on January 27, 1967, in Cape Canaveral, Florida. The memorial may not be constructed in a location that is otherwise suitable as an interment site." An effort to get this memorial established has been underway for a number of years here in the Washington, DC aerospace community led by primarily folks at the Aerospace Industries Association with the assistance of the Challenger Center for Space Science Education. Exactly what the memorial will look like or where it will be placed has not been decided but the preference of the space community in Washington is to put the Apollo 1 memorial next to the memorials for the crews of Columbia and Challenger with a marker of a similar size and design. There will likely be a public fundraising effort for this memorial. Details to follow. By Keith Cowing on December 15, 2017 11:55 AM. Keith's note: After spending decades and tens of billions of dollars NASA still cannot implement a strategic plan for the use of the ISS or explain how it plans to transition from the ISS to future facilities. If NASA cannot get it right in low Earth orbit, how can they expect to build even more complex facilities near the Moon or at Mars? 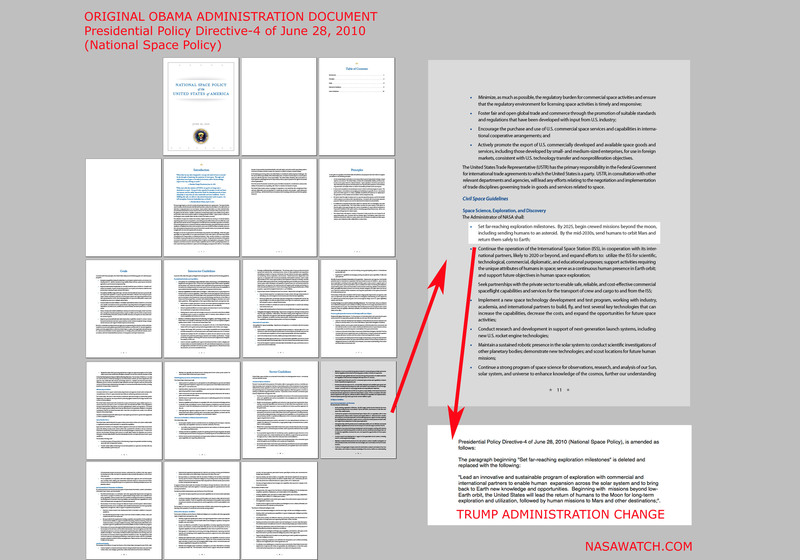 "In other words the [ISS Transition Plan Congress requires - by law] is late, has not been delivered, NASA does not know when it will be delivered. NASA is not going to tell anyone when it has been delivered and people will have to go ask Congress where the report is - whenever NASA gets around to delivering it." "Although NASA has made progress toward the overall space exploration science priorities recommended in a 2011 decadal survey by the National Academies of Sciences, Engineering, and Medicine, the space agency should raise the priority of scientific research that addresses the risks and unknowns of human space exploration. This heightened priority is particularly important given the limited remaining lifetime of the International Space Station (ISS) - the most significant destination for microgravity research - and because the U.S. currently does not have a strategy for the station beyond 2024, says a new midterm assessment report by the National Academies." "... In assessing the progress of implementation of the decadal survey portfolio, the committee found difficulty in navigating the research tracking within various parts of the Agency that report on research alignments with the decadal recommendations. While overall programmatic attention to space life and physical sciences was readily apparent in the many presentations from NASA to the committee, a cumulative alignment or mapping of agency research projects to specific decadal survey recommendations proved problematic." "... It is essential that NASA as quickly as possible develop a International Space Station-post-2024 strategy. This development factors strongly in the overall exploration strategy, space life and physical sciences research priorities, and resource allocation in terms of crew time, cargo delivery, and funding. This post-2024 strategy should address clear cost allocation among the various research activities and partners." "... The committee has seen that microgravity research is included in the SBIR and STTR topic areas. However, NASA does not track the SBIR or STTR projects against the decadal survey priorities, and therefore neither NSBRI, SBIR, nor STTR research results entered into any attempts to map inputs to specific decadal survey recommendations." "... The committee was further briefed on approximately 2,000 ground-based studies reported through the SLPSRA Task Book database: nearly 200 studies reported by CASIS; a large, yet undetermined, amount of funding for intramural directed intramural research projects; and hundreds, perhaps thousands, of ground- and space-based studies sponsored by NASA's international partners. Through individual queries to representatives of SBIR/STTR, the committee also learned of potentially hundreds of relevant SBIR/STTR research projects. Unfortunately, no mechanism currently exists, particularly in the Task Book, to summarize this vast body of research in a manner that allows mapping to specific priorities." "... This allocation of resources can lead to allocation difficulties, because the various entities having different, and sometimes competing, priorities negotiate for resources. As in the case for Space Biology, shown in Figure 2.9, while both CASIS and NASA may start off with similar fundamental science needs, the NASA needs for flight medicine to enable humans to go to Mars can pull research in a very different direction than the CASIS need to produce medicinal results relevant back on Earth. Sometimes research can synergistically serve both needs; however, this creative tension between legitimate end goals does not always result in commonality of science needs or resource utilization." By Keith Cowing on December 14, 2017 9:16 PM. "The discovery came about after researchers Christopher Shallue and Andrew Vanderburg and trained a computer to learn how to identify exoplanets in the light readings recorded by Kepler - the miniscule change in brightness captured when a planet passed in front of, or transited, a star. Inspired by the way neurons connect in the human brain, this artificial "neural network" sifted through Kepler data and found weak transit signals from a previously-missed eighth planet orbiting Kepler-90, in the constellation Draco." Continue reading Artificial Intelligence is Now Helping Kepler Find Planets. By Keith Cowing on December 14, 2017 12:27 PM. "Breakthrough Listen - the initiative to find signs of intelligent life in the universe - is reporting preliminary results and making initial data available from its observations of the "interstellar visitor" 'Oumuamua. No evidence of artificial signals emanating from the object so far detected by the Green Bank Telescope, but monitoring and analysis continue. Initial data are available for public inspection in the Breakthrough Listen archive." By Keith Cowing on December 11, 2017 4:09 PM. Keith's 11 Dec update: I did not hear back from NASA so I sent a second request. Stephanie Schierholz at NASA HQ PAO just sent this reply to my second request: "NASA is keeping Congress apprised as to the progress of the ISS Transition Report and plans to provide this report to the Committee as soon as possible. Please reach out to the Committee about obtaining a copy of the report once it is submitted." In other words the report is late, has not been delivered, NASA does not know when it will be delivered. NASA is not going to tell anyone when it has been delivered and people will have to go ask Congress where the report is - whenever NASA gets around to delivering it. Keith's 8 Dec update: Several sources report that the congressionally-mandated "ISS Transition Plan" (or whatever NASA decides to call it) may be part of the Administration's FY2019 budget proposal package that is sent to Congress in the January/February 2018 time frame. This does not mean, however, that NASA will publicly release the report at that time - if they ever release it at all. 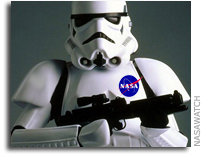 Continue reading Did NASA Deliver The ISS Transition Plan To Congress Required By Law? Update: No. By Keith Cowing on December 8, 2017 10:28 AM. By Keith Cowing on December 7, 2017 8:52 PM. By Keith Cowing on December 7, 2017 12:10 PM. DATES: Thursday, December 7, 2017, 1:00-5:00 p.m.; and Friday, December 8, 2017, 9:00 a.m.-12:00 noon, Local Time. By Keith Cowing on December 7, 2017 10:17 AM. "If you're looking to enjoy working for the federal government, apply to NASA -- its employees are the happiest of any large government agency, according to a report released Wednesday that compiled government employee satisfaction data. NASA's rankings have earned it the top spot among large federal agencies for six years in a row, with an employee engagement score, or happiness rating, of 80.9 out of 100 this year, according to rankings compiled by the Partnership for Public Service." 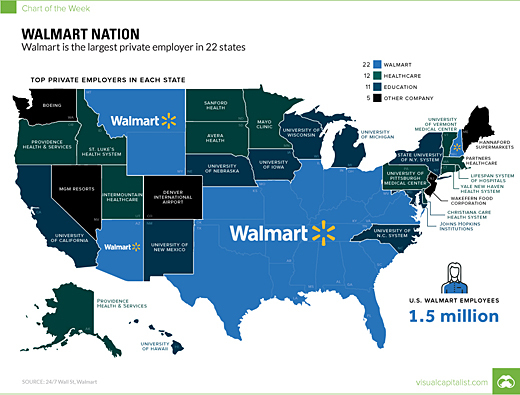 "The overall rankings are determined by the Best Places to Work index score, which measures employee engagement." By Keith Cowing on December 6, 2017 2:58 PM. "GAO's ongoing work indicates that these projects are each making progress in line with their phase of the acquisition cycle but also face some challenges. For example, the current launch date for the James Webb Space Telescope (JWST) project reflects a 57-60-month delay from the project's original schedule. GAO's preliminary observations indicate this project still has significant integration and testing to complete, with very little schedule reserve remaining to account for delays. Therefore, additional delays beyond the delay of up to 8 months recently announced are likely, and funding available under the $8 billion Congressional cost cap for formulation and development may be inadequate." "It has been mentioned to me that with Hubble you could take a single picture into a meeting to show what was discovered but with W-FIRST you'll have to wallpaper their entire office. The capability has increased 100 times from Hubble. W-FIRST is a critical new flagship mission and we need to make sure it stays on course. 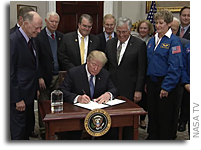 The assets provided to NASA from the National Reconnaissance Office, or NRO, seem like a good fit for the mission but the program needs reasonable timelines and a realistic budget." By Keith Cowing on December 6, 2017 2:51 PM. "Theodore P. (Ted) Stecher, 86, passed away peacefully on Sunday, 29 October2017 in Silver Spring, MD, surrounded by his family. A major highlight of Ted's career was his service as Principal Investigator for the Ultraviolet Imaging Telescope (UIT), flown aboard Space Shuttle Columbia (STS-35/ASTRO-1 mission, 2-10 December 1990) and on Space Shuttle Endeavor (STS-67/ASTRO-2 mission, 2-18 March 1995). 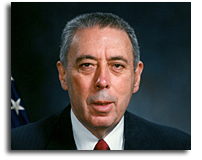 Ted retired in 2002 after 43 years with NASA, but retained an emeritus position and office for several years thereafter. He was stimulated, challenged, and rewarded by his work at Goddard; it was his passion." By Keith Cowing on December 6, 2017 1:48 PM. 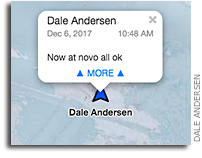 "Dale Andersen sent this via inReach on December 6, 2017 2:47:47 AM EST "Heading back to Novo in an hour nice sunny day. 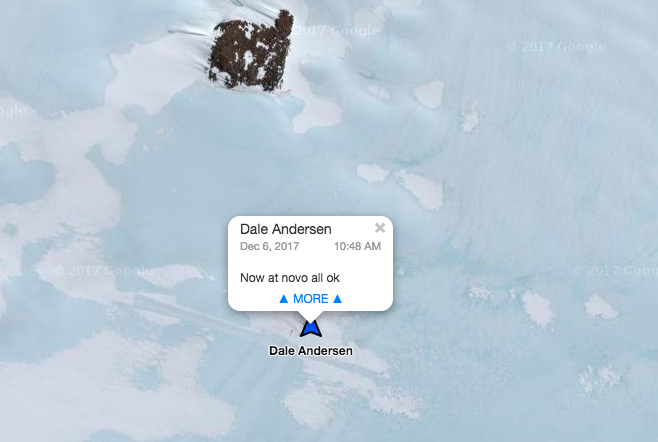 I'm starting my traverse, follow along at my MapShare https://share.garmin.com/DaleAndersen " Dale sent this message from: Lat -71.332995 Lon 13.45293." Keith's note: Dale Andersen and I have been reporting from remote polar and alpine regions for more than 20 years - Dale much more than I. Indeed, we think that we may well have had the first webserver in the U.S. directly updated from Antarctica back in 1997 - that website is still online here. When researchers go to remote locations to conduct NASA-funded research and engage in dangerous procedures (drilling though meters of ice and then diving underneath) in search of clues to what form of life could be possible on worlds such as Mars, you'd think that NASA would pay attention. I have been posting Dale's reports almost daily for the past month. Speaking from personal experience reporting from Devon Island and Everest Base Camp it takes a lot of discipline and effort to send reports back to civilization - especially when your comms are limited such as they are at Lake Untersee, Antartica. Add in hurricane force winds and brutal temperatures and its not like texting from your iPhone. 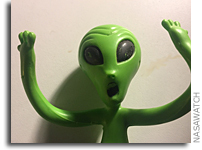 Yet if you look at the webpages of NASA Science Mission Directorate, NASA Astrobiology, the NASA Astrobiology Institute and SETI Institute there is no mention of these daily reports that Dale diligently sends back from his tent in Antarctica. But I do post them here and on my astrobiology.com website (which is ranked 3rd on Google search for "astrobiology") so its not like he's getting no visibility. All too often NASA sponsors research where teams of actual explorers engage in dangerous activities to conduct astrobiology field research so as to further the whole #JourneyToMars thing and yet no one at NASA bothers to pay attention. This mindset is not just limited to Dale. Much of the field work like this never gets any mention. People would be amazed at the things that NASA never bothers to mention where it is involved directly and/or indirectly. But astronauts wearing funny t-shirts on ISS? That warrants a news story with video. 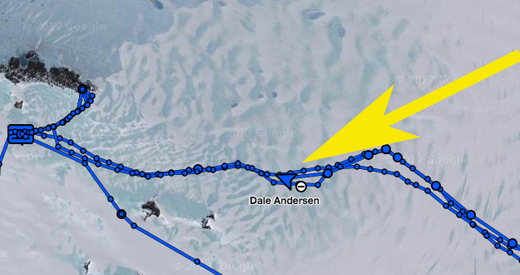 Dale is heading back to Novolazarevskaya Station (check his location live) and should be back in the States in time for Christmas. And there will be cool photos and other things I hope to post. - 5 November 2017: Buran! By Keith Cowing on December 4, 2017 6:21 PM. By Keith Cowing on December 4, 2017 7:59 AM. "The deadline for students to apply to the Brooke Owens Fellowship Program is almost here! Please spread the word--every undergraduate woman you know should seriously consider applying for this one-of-a-kind program. Applications are due on Tuesday, December 5th. The Brooke Owens Fellowship Program offers paid internships and executive-level mentorship to extraordinary undergraduate women who want careers in aviation or space exploration. Fellowships are available for a wide range of disciplines related to aerospace, including engineering, policy, business analysis, investment, communications, education, airport operations, and more." By Keith Cowing on December 4, 2017 7:34 AM. "20 years ago I made a trip to West Virginia to hang out with SETI researcher Jill Tarter and see how she searched the skies for evidence of life elsewhere. The region is very familiar to me since my wife and I have spent a lot of time there rock climbing and camping. What unfolded was part camping trip, part astronomy class, cruising around in diesel taxis, and a strange collision of ancient and modern hardware. More thoughts at the end of this story." Fun Things To Do With Your $200,000 Car: Blast It Into Outer Space. By Keith Cowing on December 2, 2017 8:01 PM. "Musk told reporters in March that SpaceX would put "the silliest thing we can imagine" on the first Falcon Heavy flight. The company placed a wheel of cheese on the first flight of its Dragon cargo craft in an ode to the Monty Python comedy group. The Tesla Roadster weighs about 2,760 pounds (1,250 kilograms), measures nearly 13 feet (3.9 meters) long and spans about 5.7 feet (1.7 meters) wide, according to Car and Driver magazine. That's well within the Falcon Heavy's lift capability to go to Mars." Keith's note: I totally get the playfulness with which SpaceX does many things. Its one of the things I really like about the company. Its often infectious - often disarmingly so - and helps to paint space as something more approachable than just launching expensive stuff that does hard-to-understand things into outer space. Its even more fun to kid around when the company does things that NASA cannot do. Elon Musk has been totally blunt when he comes to the complexity of launching the first Falcon Heavy and that it may well blow up. Other than instrumentation needed to control and monitor the rocket, it would be a risky proposition for anyone to put anything of value on the rocket as a payload. NASA has often flown inert ballast on rockets during early test flights to allow the rocket to behave under properly loaded conditions. The Shuttle often flew with big slugs of lead to balance payloads. 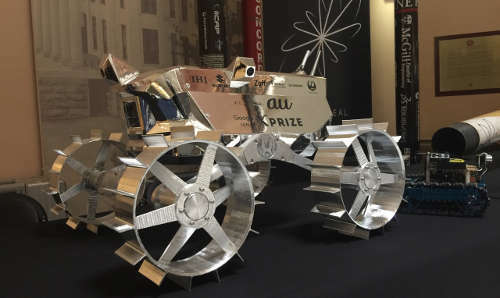 But I have to wonder if something a little more useful could be done on this first Falcon Heavy flight- like auctioning off the $200,000 Tesla Roadster and using the proceeds to fund lots of cubesats that could be given out free to students with the caveat that they may become space toast. To a lot of people in America $200,000 is the cost of a house or one or two full college educations. This is Elon Musk's decision of course. And while it does have a sort of daring, tongue-in-cheek, out of the box aspect to it, I am also a little disappointed. This is a chance to do something that really resonates with people. Instead a lot of people will see some guy throw his expensive car away in outer space or make a shiny red reef in the Atlantic. 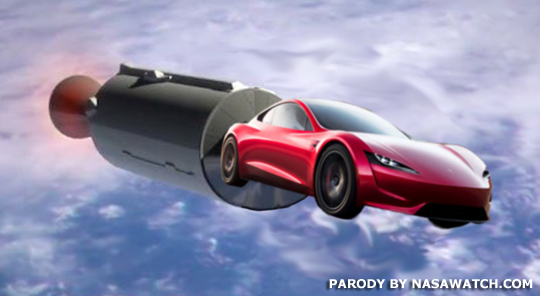 Too bad Elon couldn't put a Tesla SUV with fat tires inside a heat shield with a parachute and throw it toward Mars. He could even paint it red. "Since then, his rocket company has pulled off an array of increasingly important -- and improbable -- feats, from winning billions of dollars in U.S. government contracts to landing rocket boosters on ships at sea. But nothing would quite solidify Musk's merry-prankster, ringmaster status than his recently announced plan to use the often-delayed launch of his Falcon Heavy rocket into a cross-promotional marketing campaign for Tesla, one of his other companies." Elon Musk told me just now, on Saturday afternoon: The Tesla to Mars mission is "100% real." Would be nice if SpaceX's communications team stepped in here. By Marc Boucher on December 1, 2017 1:46 PM. Marc's note: On Wednesday Japan and Luxembourg announced an agreement "to cooperate on exploration and commercial utilization of space resources." While this news is noteworthy, there is other news out of Japan today. iSpace, a New Space company with ambitions to use the moons resources and which manages the Japanese Google Lunar X Prize entry, Hakuto, is set to announce on December 13 what it says "is the largest fund raised in Series A in the global space industry." They will also outline their next mission. I spoke last week with Dr. Kazuya Yoshida, iSpace CTO, about the Google Lunar X Prize and their future plans. Read the story and listen to the podcast.